We boarded The Nautica and were happy to get unpacked. 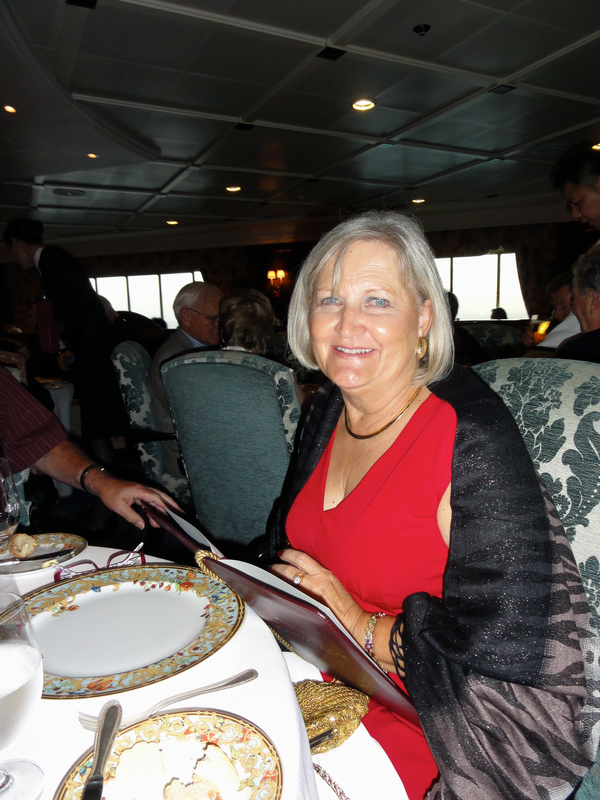 The next day Cecilia went to Stellebosch and I as I had been there I stayed on ship, did laundry and rested my knee. We were supposed to leave Cape Town at 10:00 pm but could not leave because of rough seas. We were delayed so much that we skipped East London and are spending Christmas Day at sea. We are scheduled to arrive in Durban tomorrow. Cecilia and I have scheduled a game drive at the Tala Reserve. 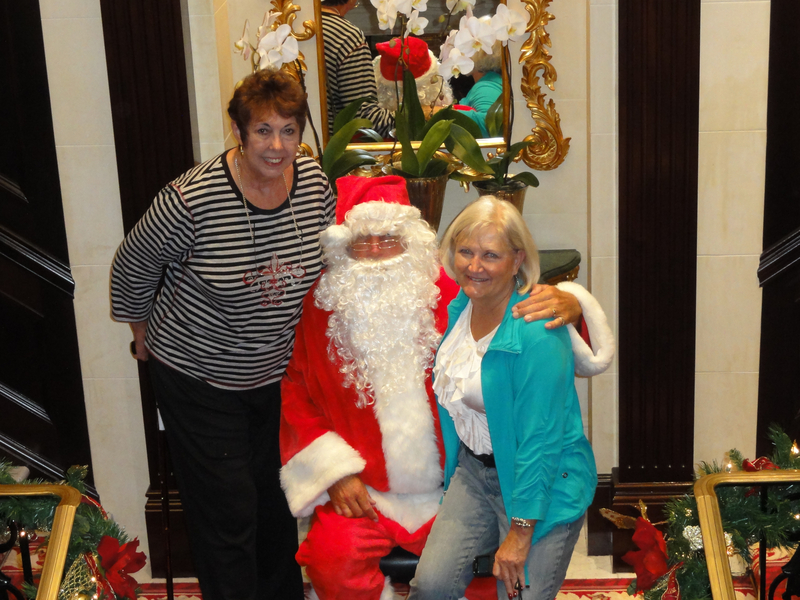 Christmas on the ship has been very nice. There was a very nice show and when we went back to the room the ship had a present for each of us on the bed. It was a very nice box container with a map of the trip. It has been a very overcast and cool day. We are sailing within sight of the SA coast but visibility is poor. This morning Santa made an appearance and Cecilia and I had our picture made with him. It has been a lazy afternoon. We worked on our shore excursions and I went to the craft class and made a calendar. The craft classes here are mediocre but I always go. Soon it will be time for Trivia, my favorite! Durban: Africa is the world's second largest and also second most populous continent. It straddles the equator and is the only continent to stretch from the northern temperate to the southern temperate zones. Africa, particularly central eastern Africa, is widely regarded within the scientific community to be the origin of humans and the Hominidae Clade (great apes) as evidenced by the discovery of the earliest hominids that have dated to around seven million years ago. The largest country is Sudan and it's smallest country is the Seychelles, an archipelago off the eat coast. The smallest nation on the mainland is The Gambia. As reported we missed our stop in East London because of the delay in Cape Town so it was on to Durban. 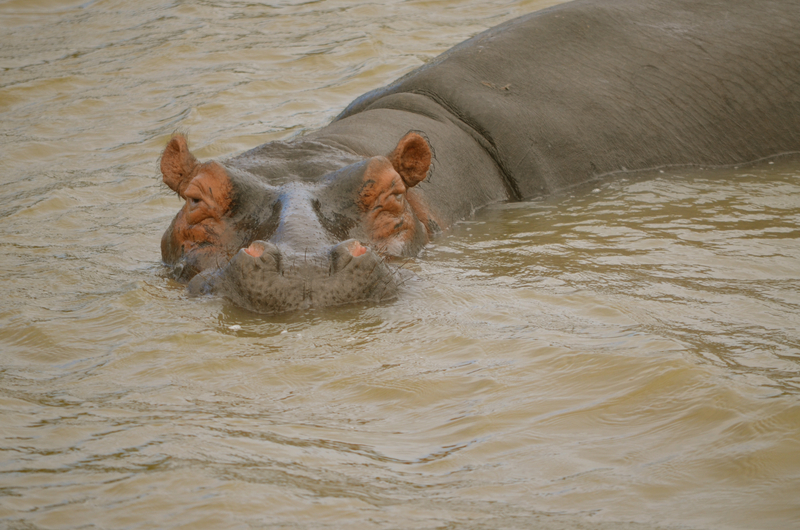 We took a five hour tour to the Tala Game Reserve. The drive here was lovely. Durban is situated in a very hilly part of SA. There is an area called the Valley of A Thousand Hills which is a lovely area. It truly fits it's name. As one drive through one sees mountain overlapping mountain. I had gone into the heart of the Valley before but we were fortunate to pass through some of the hills on the way to Tala. 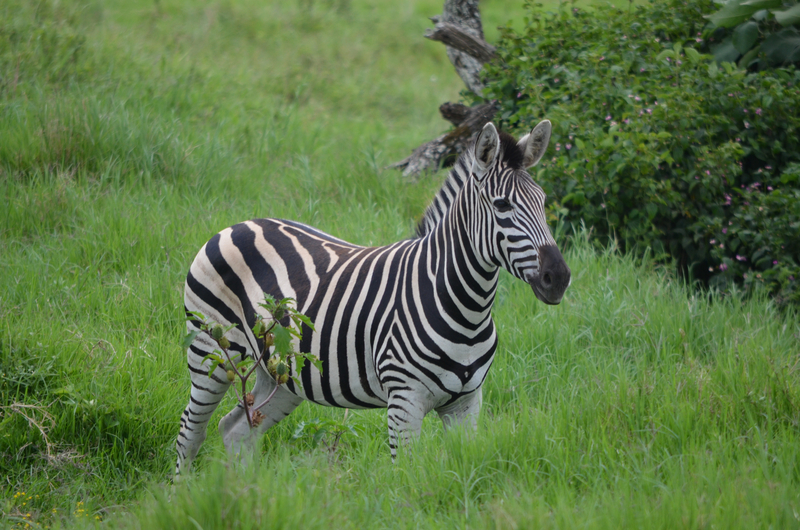 Tala is a contained Game Reserve which means the animals are limited as to how far they can roam so one is always assured of seeing some animals. This is not true in Botswana. There are no fenced borders there and the animals can migrate from one country to another. We saw our first rhinos here. South Africa only has the white rhinos. I had seen them in Royal Chitwon in Nepal. The African ones seem much larger. We were probably within 10 feet of them but the ambled along grazing on the grass along with the Impalas. 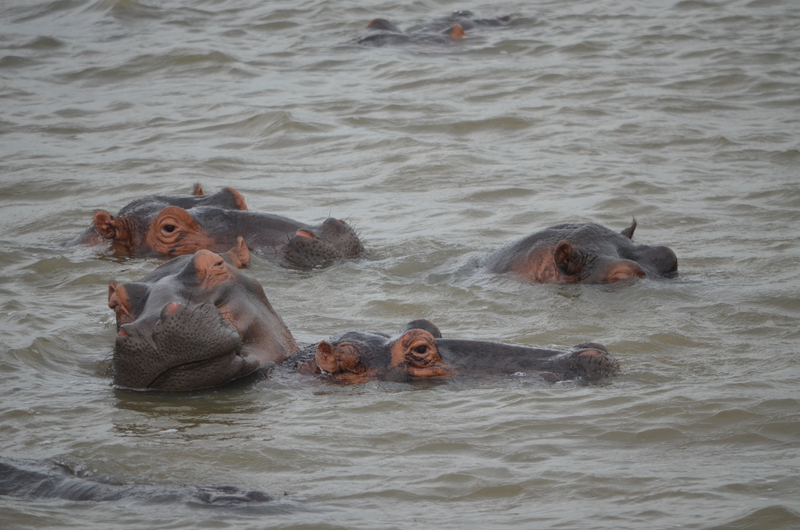 We also saw hippos, giraffes, Steenbok, wildebeest, greater Kudu, warthogs with ting babies. The babies are so cute when young, but they sure do grow up "ugly' but I guess beauty is in the eye of the beholder. They must think they look pretty good as they always have a mate. 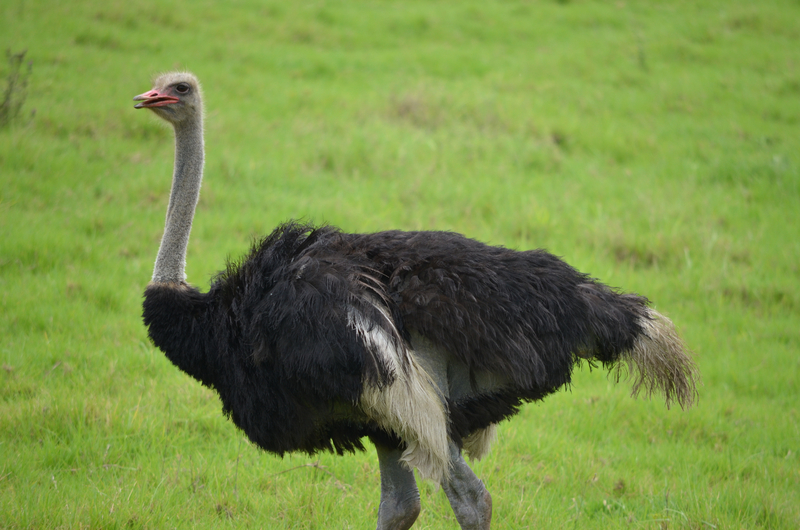 There were also Burchell Zebras, Nile monitors and many spices of birds, especially Egyptian Geese. 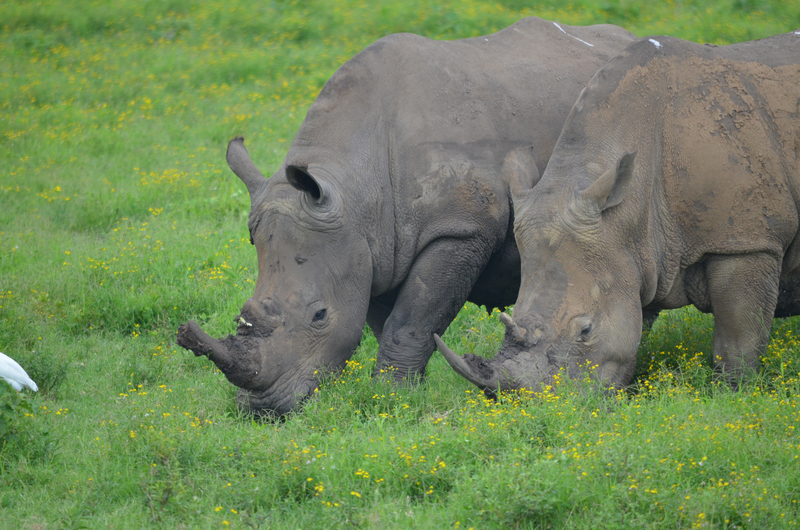 We are always happy to see the animals and were especially happy to add another one of the big five to our list, the rhino. Now we only lack the buffalo. It was a great day and we head back to the ship tired but happy that we have this wonderful opportunity to see animals in the wild, at least the semi-wild here.